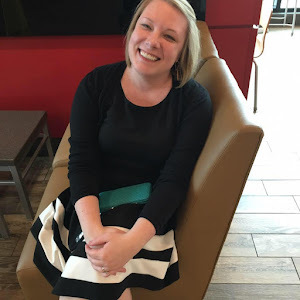 I would hope that every little girl met Betsy, Tacy, and Tib as a child, but, sadly, I don't think that's the case. I was fortunate enough to read these several times throughout my childhood, so I was thrilled when my friend Trish from TLC offered this new collection of the first four books in the series for review. If you aren't familiar, these books were written in the 1940's and 50's by Maud Hart Lovelace and are based on her own turn of the century childhood. 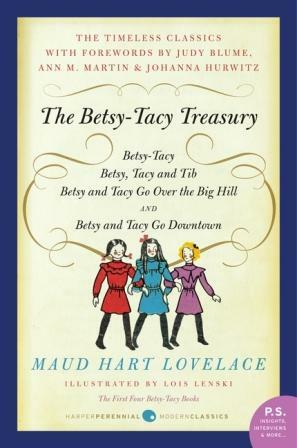 Betsy, Tacy, and Tib are three little girls who meet when they are five years old and grow up together. These books follow the girls and their adventures at ages 5, 8, 10, and 12. So cute! I honestly just love Maud Hart Lovelace and these books are so well written. I enjoyed them just as much as an adult as I did when I read them as a child. A lot of the writing is, obviously, dated, and the turn of the century setting is very different than the way children live now, but the books honestly transcend that. I don't think it's hard to identify with and care about these little girls regardless of the time differences. They remind me a lot of the Little House on the Prairie books that way. It's also a really fun way to teach kids about how things were when their grandparents were young. It doesn't matter how old I get, I will always be entertained by the exploits of Betsy, Tacy, and Tib. I honestly just can't recommend the books more highly. If you have little girls or if you were ever a little girl, these are must-reads. They are seriously adorable. I also really liked the new formatting of this treasury. It has all the classic Lois Lenski illustrations as well as introductions from authors like Judy Bloom and Meg Cabot. And at the end there is a section with historical information about Maud Hart Lovelace and the time and setting. I'm actually adding the rest of the books in the series (also collected in treasuries like this one) for Christmas this year - no higher recommendation than that! So glad that you still love the books, all these years later. I've been meaning to read them. I know I'll love them!